After we got our official Peace Corps invitation to Ethiopia in January (yay! ), I was really focused on all things Peace Corps. I wrote an aspiration statement, all about how I'm going to be a great volunteer and adjust well to a new culture. I took official Peace Corps safety courses online. Spencer and I went to numerous doctor/dentist appointments to prove that we are indeed healthy humans. We visited the American consulate in Sydney to apply for our special Peace Corps passports. We've filled out and uploaded tons of paperwork. 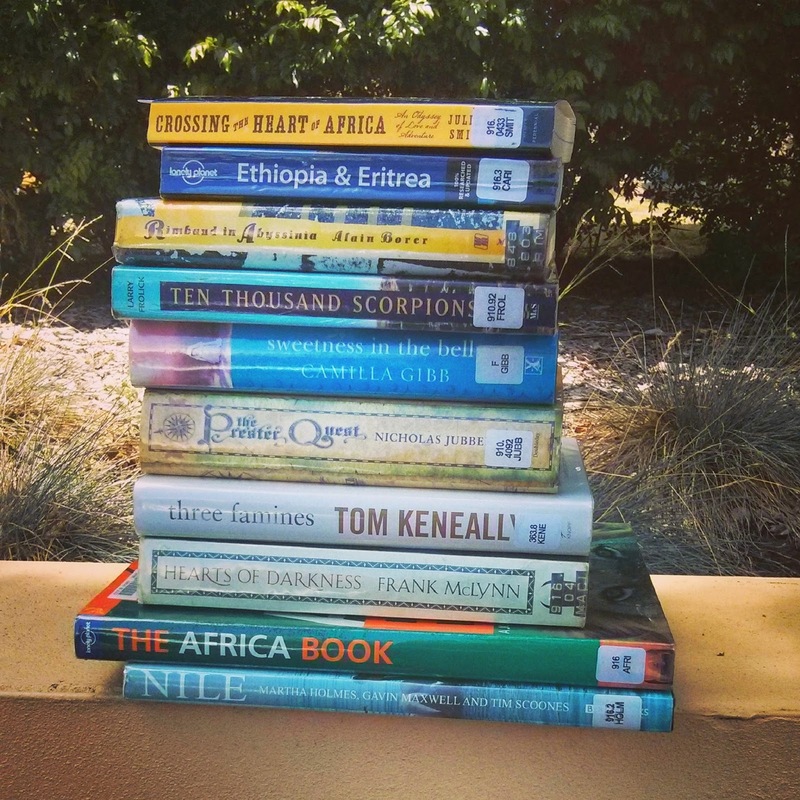 I checked out every book even remotely related to Ethiopia from our little, one-room local library (photo above, from my Instagram feed) I read blogs of people currently or formerly serving in Ethiopia. And then, I kind of took a break from it all (besides the doctor appointments...those seem to be never ending). 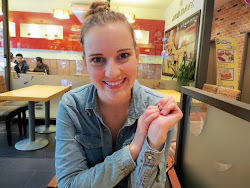 As I was reading yet another blog post about a Peace Corps Volunteer's frustrations with public transportation in Ethiopia, I realized I've done enough research. I felt like I was learning too much from other people's perspectives. I'm ready to experience it myself. Too much more information and I would be bringing prejudices and preconceived notions. I don't want to do that; I want my mind to be open. I know basics about the country, some history, and I know of a few cool places I'd like to travel to. That's enough for now. All the books went back to the library. Since then, I'm trying to focus more on the present. We only have a couple months left in Sydney (where did the time go??!) and I want to enjoy it. So I made a commitment to myself to live in the moment as much as I possibly can. I sip leisurely at my coffee at trendy cafes on the weekends. I appreciate the architecture in CBD while I ride by on reliable (for the most part) public transportation. I enjoy the weather when I take the boys I babysit to the park. I wear short skirts, shorts, and sleeveless tops and appreciate that I can. I eat Mexican food and drink margaritas and savor every last mouthful. It's strange to think that in a few months, I'll be Ethiopia and nearly everything in my day to day life will be different. To avoid the disappointment associated with the phrase "I just didn't expect it to be like this," I'm trying to find balance between being sufficiently prepared and not expecting anything. Instead of thinking about one scenario for what I think life will be like in Ethiopia, I try to think of as many as I can. Or I just don't think of any and go get a coffee. :) I'm trying to live in the present, remember?